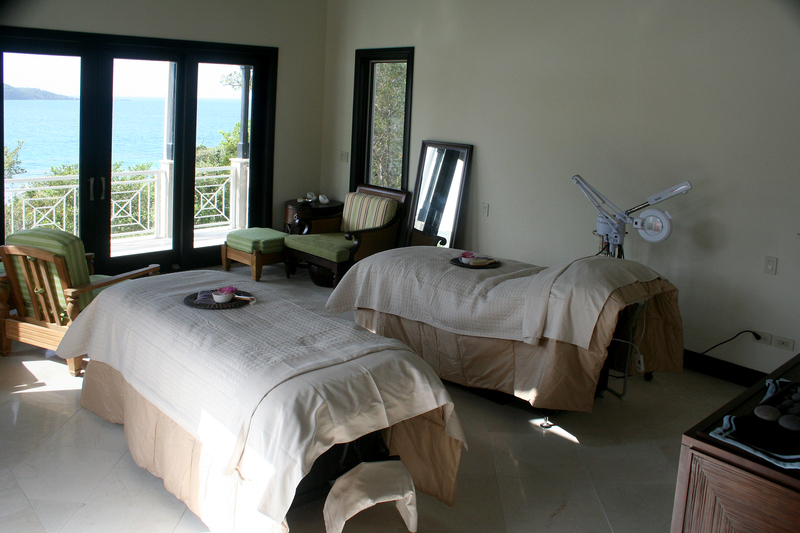 Scrub Island is the first new private island resort in the BVI in 15 years, and along with it comes a brand new spa! After invigorating snorkeling over coral reefs, indulging in the sumptuous offerings at the restaurant followed by a cooling mojito by the pool…. 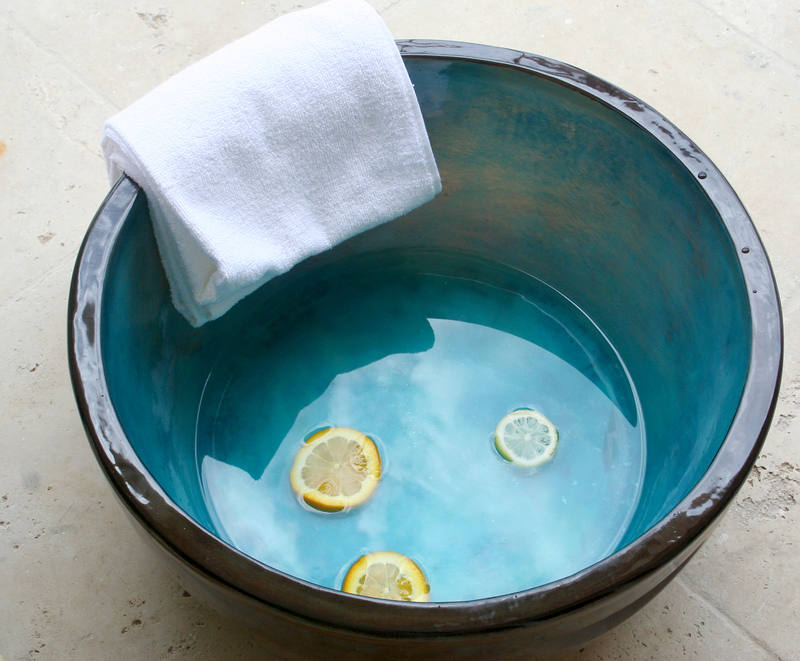 we knew perfection could be achieved with a visit to their spa. 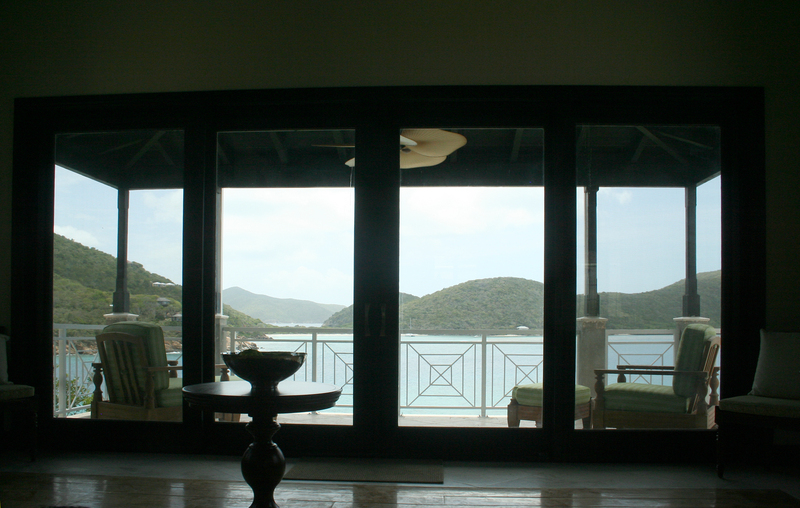 We left the blazing light over Trellis Bay to enter the cool white villa of the Scrub Island Spa. And what a soothing environment they have created to rescue us from the torment of over indulging in delights of the Caribbean! 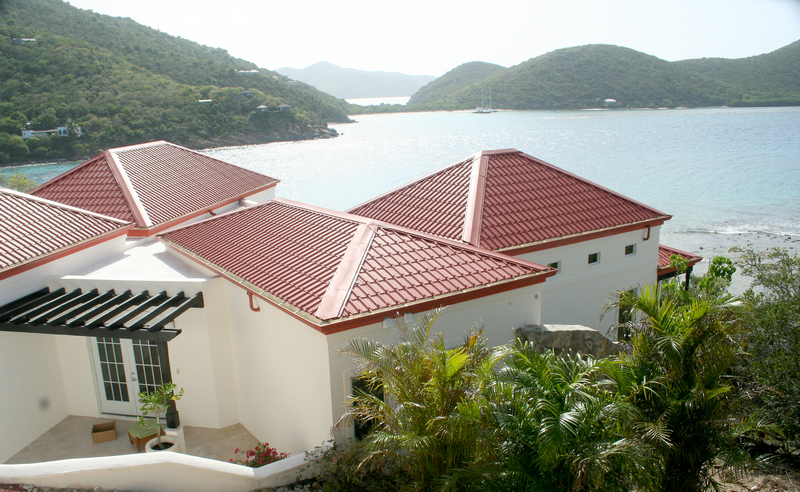 The interior was that perfect blend of shaded verandas looking over sparkling turquoise water. With skin still warm from the sun the cool oleander scented air inside was delicious. Emily and Courtenay showed us into a tandem massage room with a view over the channel, orchids and shells on each massage table, and large comfy chairs to sit in while they massaged our sun dried feet with fresh cut citrus fruit followed by a soak in tepid water. Relief began from the feet up. From there we moved to the soft massage tables for a treatment that was so soothing that it is nearly impossible to recall the details of the treatments. I thought my friend summed it up best by saying “I am one with the air”. I felt that way too. After an hour or Emily’s ministrations, my muscles and skin were so well treated that I simply could not tell where when my body ended and the air around me began. It was in truth one of the best massages that this spa hound has ever encountered. Thank you so much for that Emily! Re-entry into the real world was slow as we sat on the shaded veranda and watched the slow parade of lovely yachts entering Trellis Bay, sipping water with slices of cucumber in it. Just Perfect. 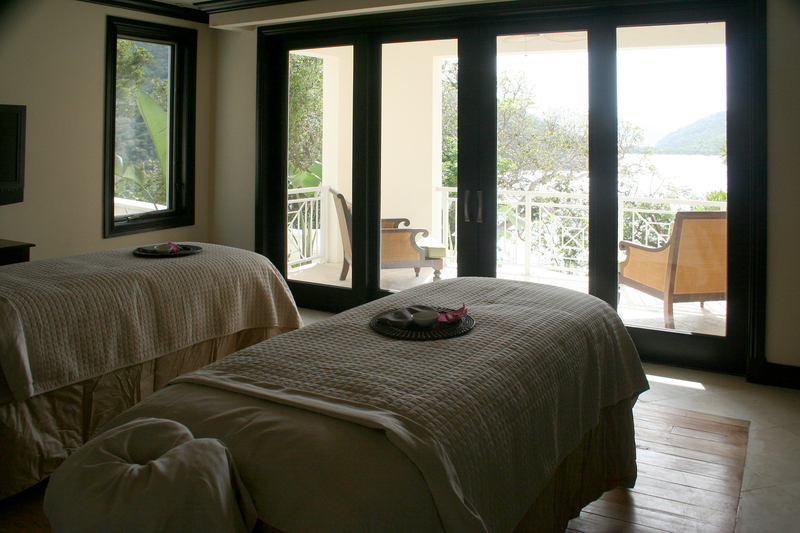 The Scrub Island Spa can be accessed by water taxi from Trellis Bay, or by stopping at the yacht marina on the island. It is well worth the trip as these girls have magic in their hands and a sweet small spa that gets really high marks! You can find out about the treatments offered by visiting the web site. Personally, I think I will try them all eventually!